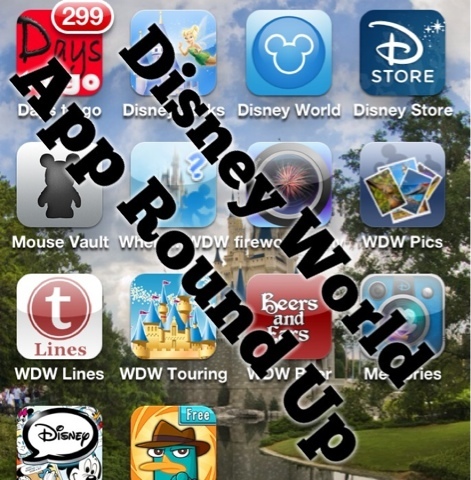 Picturing Disney: Disney World App Round-up! Let me start by saying this is my first time blogging from my phone! Yay! Secondly, many of these apps are available across platforms as I had a lot on my Droid before getting a new phone so check the App Store on your phones! Moving right along let's start with an app area that probably dominates your search when you type "Disney World" into the app store: Wait Times! I am a firm believer in Touring Plans being superior in this category. I have used the Touring Plans website (Love me the Crowd Calendar!) and the Wait Times apps for both Disneyland and DisneyWorld and found that they are the most accurate. The app is FREE and available on both Apple and Android phones! Having an account is a big plus, and in my opinion worth the few bucks! For Universal Orlando Wait Times I like the Undercover Tourist app best! Next up: Countdown apps! My all time favorite has got to be Days to Go WDW! Not only does it feature a little counter on the top right of your app (think of where you would usually see the number of notifications you have) to remind you how many days but when you open it there are various pictures to remind you of your happy place! This app is well worth the $0.99 charged, especially if your trip feels like its still eons away! 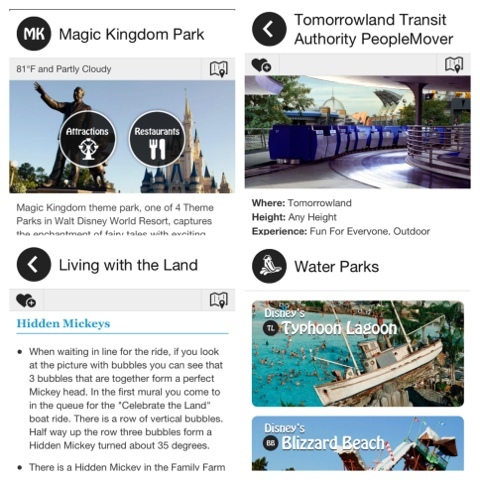 Disney also offers a slew of FREE apps for your planning pleasure. 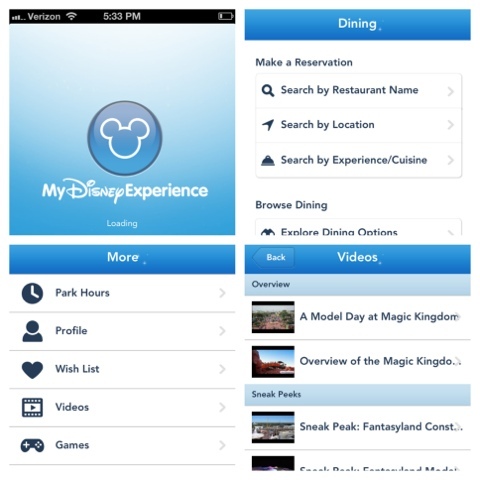 While Disney Parks Mobile Magic is now available free for Android and Apple users, I found it a little cumbersome to use when in the parks. The only time I really utilized it was when I traveled alone and had a little more time to investigate. I think it would be great for first time travelers and being its free its worth a go! What I prefer more than this though, is the My Disney Experience app because it seems to be everything I wanted and expected from the Mobile Magic app! Now it is also flawed since eacg time I have attempted to make a Dining reservation with it after I go through the steps it instructs me to call but it does have a one touch call option so you don't have to type in the number. It is nice to be able to check out restaurant info like that on the fly, but again thats what makes it seems like an extension of the original. I like the "more" section where I can access videos from Disney Parks Blog and I got Nala from the Lion King in the character quiz which made me happy. lol. 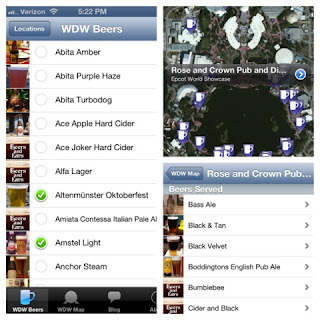 Another fun app is Beers & Ears! Here you can use a checklist of all the beers found throughout the Walt Disney World resort. If you find one you love or want to try you simply click on it to find out where you can grab some! There is also an option for you to switch to a map and see what they offer! And finally what I probably consider the most awesome, amazing, wonderful comprehensive guide to ever hit your mobile phone: Walt Disney World Touring Guide! It is so beautiful and chock full of great pictures and information ANY Disney fan, old or new, can appreciate it! At $1.99 it may seem steep for an app but its seamless, with information about all parks, attractions, resorts, and even fun facts and hidden mickey info! And its so easy to navigate with the top arrows. You never need to carry a guide with you again! And because I feel like I have to fit it in somwhere! Every Disney fan needs to download wither the WDW Radio or Sorcerer Radio app to listen to some magical music anytime, anywhere! What's your favorite Disney app? ?